Follow your dreams, and you'll never work a day in your life. Because that field's not hiring. In this economy, you don't need reach-for-the-stars platitudes. You need information. Should you go to college? What should you major in? Where are you likely to succeed? How can you avoid student debt? How can you find a job when more and more qualified people are chasing fewer and fewer jobs? How do you keep your job once you have it? Can you really improve your emotional intelligence? 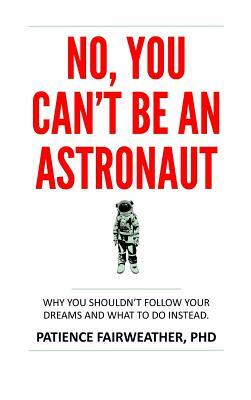 No, You Can't be an Astronaut includes the latest research and self-assessment tools for jobseekers and career-changers alike. A great gift for grads.